Team Up Dream Factory Creates Smiles. The superheroes came out to play on the recent Auckland Convention Bureau Australian Famil as part of our corporate socially responsible team event Dream Factory! Partnering with our good friends at Event Impressions and Seafarers at Britomart, we coordinated and hosted a charity based team event with a real difference to deliver a unique and memorable experience for 10 lucky delegates from Australia. In the Team Up Events Dream Factory participants work together to create a special dream for a deserving child and experience first-hand the notion that giving is not just about making a donation, but about really making a difference! Challenged to create a personalised and tailored blanket box full of gifts and love, the end result see teams enjoy a special moment at the end of the day when the children themselves, enter the room to receive the end product! As the delegates entered the room to begin the event, Superman and Superwoman instantly took centre stage setting the scene that something special was about to take place! 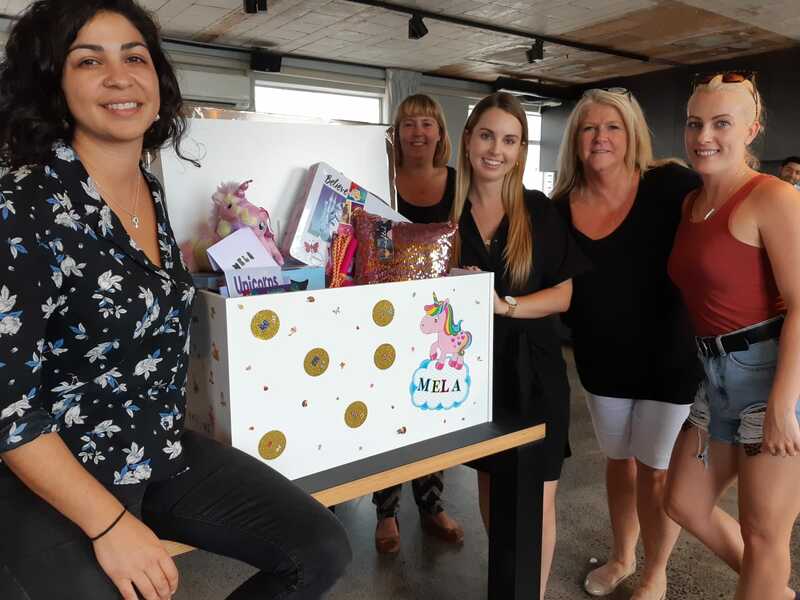 With teams formed and the brief then delivered, it was time to to read about the fantastic children from Cure Kids who were going to receive the surprise of a personalised Dream Box! Teams quickly set about the task of building their blanket boxes and then customising and filling with goodies that matched the “dreams” of the recipients. The sense of purpose and understanding of the significance of the activity was clear for all to see. When the clock ticked down it was time for the greatest moment of them all! As the representative from Cure Kids entered the room with the recipients and their families, what began as a fun way to give back became a powerful example of how easy it can be to make a real difference!